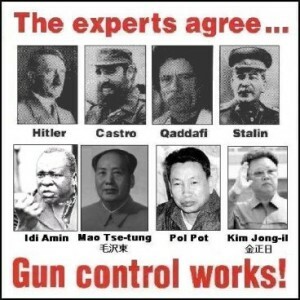 History has proven to us time and again with 100% accuracy that every time a government disarmed its citizens and imposed strict gun control laws that government ALWAYS ruled over the people with an iron fist and imposed tyranny upon its people. 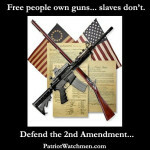 Gun control always leads to tyranny, loss of freedom, oppression and death. – In 1911 Turkey established gun control. Subsequently, from 1915 to 1917, 1.5 million Armenians, deprived of the means to defend themselves, were rounded up and killed by their government. – In 1929, the Soviet Union established gun control. Then from 1929 – 1953, approximately 20 million people were rounded up and killed by their government. – In 1938, Germany established gun control under the leadership of Adolph Hitler. From 1939 – 1945 over 13 million Jews, gypsies, homosexuals, the mentally ill, union leaders, Catholics and others, unable to fire a shot in self defense were rounded up and killed by their government. – In 1935, China established gun control. Subsequently, between 1948 and 1952 over 20 million Chinese citizens were rounded up and killed by their government. – In 1956, Cambodia established gun control. In just two years from 1975 – 1977 over 1 million “educated” people were rounded up and killed by their government. – In 1964, Guatemala established gun control. From 1964 – 1981. over 100,000 Mayan Indians were rounded up and killed by their government because they were unable to defend themselves. – In 1970, Uganda established gun control. Over the next 9 years over 300,000 Christians were rounded up and killed by their government. Over 56 MILLION people have died because of gun control in the last century. 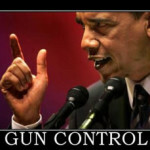 Gun control is ONLY about one thing… TOTAL CONTROL over you and me. Gun control is the naive theory that becoming a victim is somehow morally superior to defending yourself and your family. 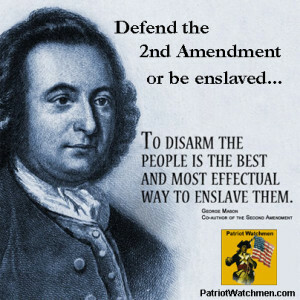 The people who are calling for gun control today are the same people who will be calling on the government to use guns on those people who have been disarmed tomorrow. 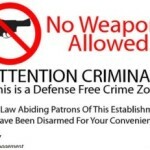 Liberals don’t believe that you have a right to self defense. They only believe that police and military should carry firearms. 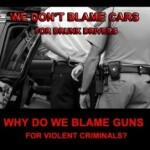 What they don’t get is that police don’t carry guns to protect you, police carry guns to protect themselves. Their job is to enforce the law and keep the peace. YOU are ultimately responsible for your own life and your own protection. YOU are responsible for YOU… no one else is your keeper. Liberals don’t get that when your life is in danger and seconds count, the police are only minutes away. In most cases the police only show up after a crime has been committed to draw the chalk line around your dead body. The same people that are trying to take away your right to keep and bear arms are in many cases protected by armed body guards 24/7 and their children attend schools in gated communities protected by armed guards. I guess their kids are more important than yours. Keep in mind that Adolf Hitler was “ELECTED” into power by people who blindly and foolishly trusted their government to “provide” for them and make decisions for them. He then nationalized the healthcare system (just like Obama has done) and then he implemented gun control (just like Obama is doing now) and then… well, we all know how that turned out. Those who refuse to know history are DOOMED to repeat it. A well regulated militia, being necessary to the security of a free state, the right of the people to keep and bear arms, shall not be infringed. 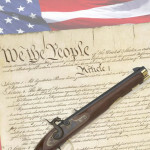 ~ 2nd Amendment to the Constitution of the United States. VIDEO: Does Gun Control Lead to Genocide?